Rumor has it that the Ladybug Dragon is lucky; that must be true because this trainer has always considered himself fortunate to have found such a wonderful friend. 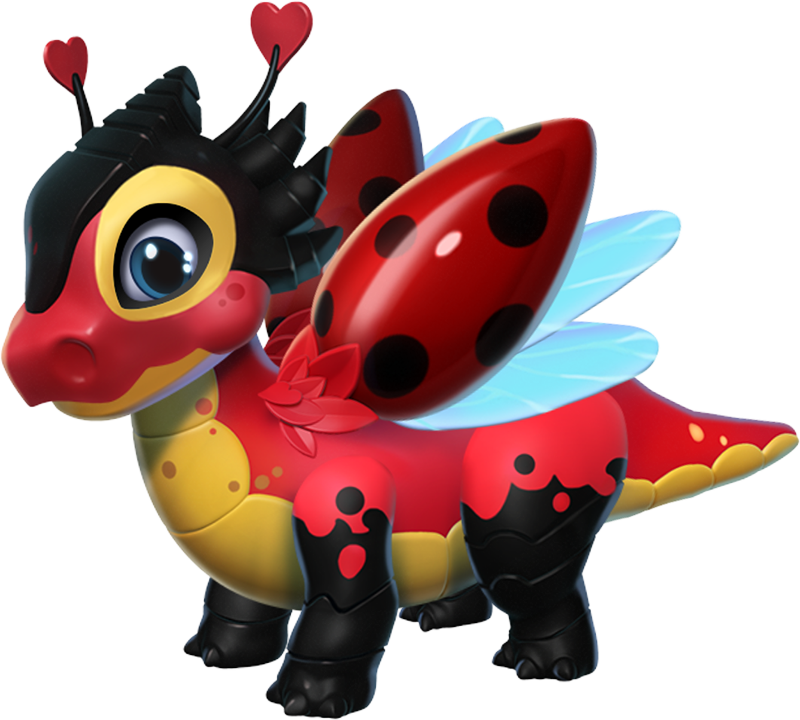 The body style of the Ladybug Dragon is saurian. 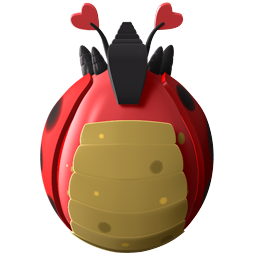 The Ladybug Dragon is an Event-Only Dragon which can be obtained most frequently through one or more of the various events within the realm of Dragolandia. 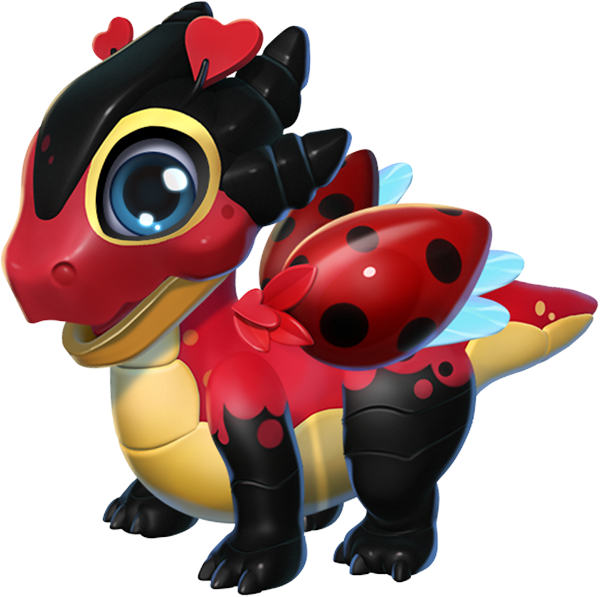 Once this Dragon is obtained and then subsequently housed on an island, duplicate eggs can be purchased through the Dragon Codex in exchange for 876 Gems.